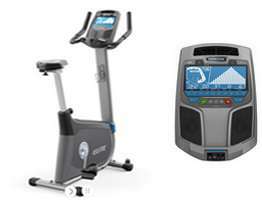 HORIZON Elite IC7 Indoor Cycle, Get the feel of the open road and the convenience of an indoor cycle with the IC7. 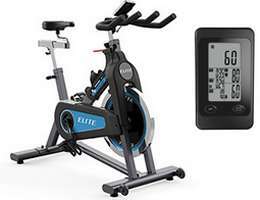 The highly adjustable bike helps you find a comfortable riding position, and a glance at the included console will let you know if you are in your target zone while you work out on this indoor cycle built for performance. 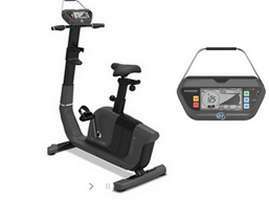 HORIZON Comfort U Upright Bike,The Comfort U is the exercise bike built with your body in mind. Get on easily with the step-through upright frame and quickly find a perfect riding position with the fully adjustable seat. Your wrists will stay comfortable thanks to our thoroughly tested grips that correctly position your hands to reduce strain on your wrists. With the Comfort U, even your tough workouts will feel good. HORIZON Elite U7 Upright Bike, Pedal smoothly with no dead spots or hitches thanks to the magnetic resistance brake system and heavy flywheel, Find a perfect fit with the highly adjustable seat, Meet your calorie goals with ViaFit connectivity, which automatically feeds your workouts into popular tracking and fitness apps, Get the results you want by training smarter, not harder, with the wireless heart rate receiver and contact grips. HORIZON Comfort R Recumbent Bike, Step-through recumbent frame makes it easy to get on and off, Heavy flywheel ensures a smooth ride, Innovative Cardio Compass display works with any wireless heart rate receiver to provide clear workout feedback, 10 programs and 16 resistance levels offer variety. HORIZON Elite R7 Recumbent Bike, Pedal smoothly with no dead spots or hitches thanks to the magnetic resistance brake system and heavy flywheel, Find your perfect fit with a highly adjustable seat, Meet your calorie goals with ViaFit connectivity, which automatically feeds your workouts into popular tracking and fitness apps, Get the results you want by training smarter, not harder, with the wireless heart rate receiver and contact grips. 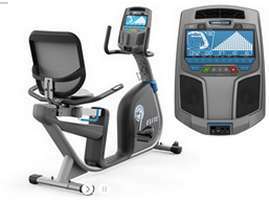 Arizona Extreme Fitness will deliver and setup your favorite quality Horizon fitness bike equipment in Prescott, Flagstaff, Sedona and Phoenix, Arizona at your location! Come on in and browse our 3000 sq ft warehouse showroom in Prescott Valley, Arizona and try before you buy or if you already know what you want just call us for our best price and we will deliver or ship it to you depending on your location in the USA. 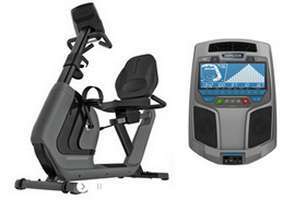 We sell, deliver, setup, install and service the above quality brand Horizon fitness bike equipment in your home, office, club and work out area.